← Hillend Dabbler – cracks Glengavel with Monster Broonie!!! 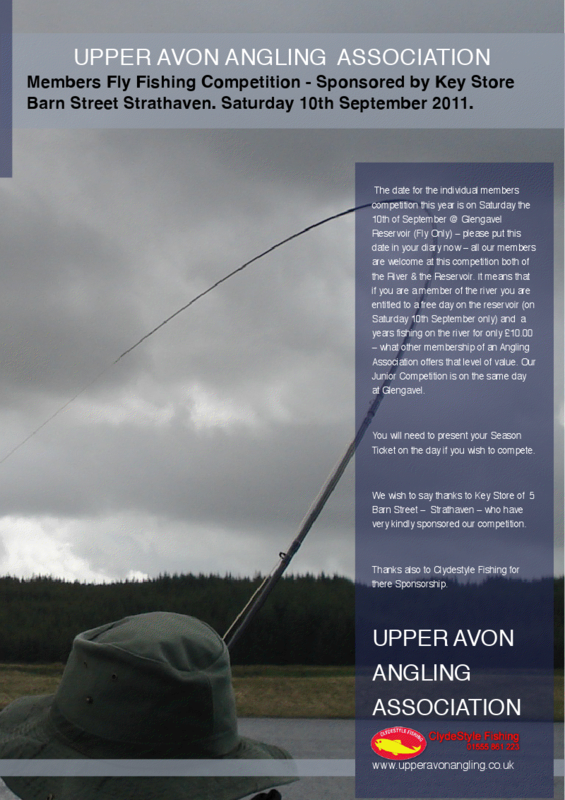 A Reminder – Members Competition Sat 10th September!!! 6 Responses to A Reminder – Members Competition Sat 10th September!!! I will be there on Saturday to try my hand again; I can only hope the weather is better than the last comp. date!! Soaked to the skin and no sizable fish worth keeping but I suppose that’s fishing.